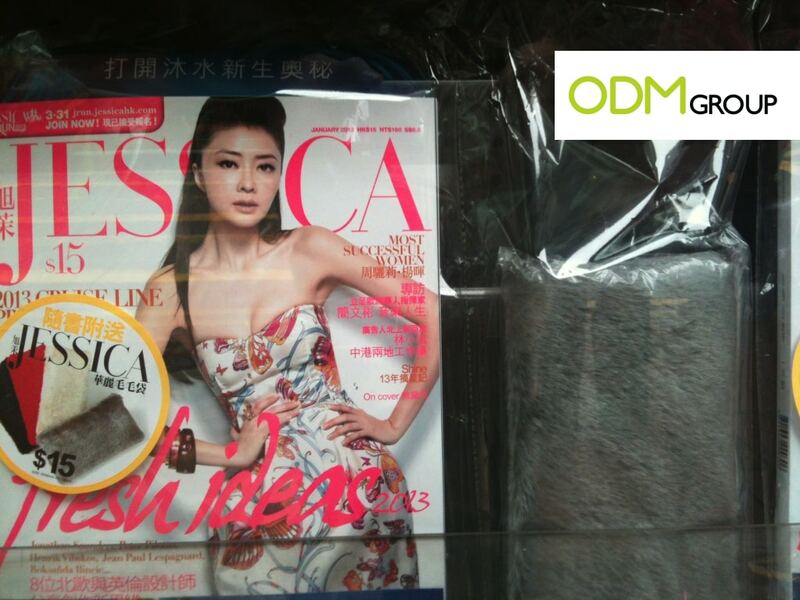 Fashion magazine, Jessica in Hong Kong is giving away a fur pouch with every purchase of Jessica magazine, January 2013 issue. They come in 4 different colours the customers can choose from. Are you wondering why they spend so much on marketing product? Marketing products are given away to increase corporate performance. We can use it in the area of sales or brand communication. Marketing products help companies to reach out to the customers. By giving away marketing products, we are showing customers our generousity and thoughtfulness. Action speaks louder than word. Blabbering that you are customer-oriented will not be helpful at all. The kind of marketing products we are giving away will contribute very much to our brand image. For instance, Jessica Magazine is a fashion magazine. So, they should give fashionable marketing products. This fur pouch is a perfect match to winter clothes. Also, there are different colours available for customers to choose from. This increases the appeal of this product. Fashionable people would love to stand out. Jessica Magazine has successfully shown their thoughtfulness. That is not all. Marketing products also increase the perceived value of the product. Imagine, with HKD 15, we can get a copy of magazine and a trendy pouch that matches our clothes. Jessica Magazine is sure to have the highest appeal at the point of sales. Marketing products work well in other industries too! Try thinking about an industry that cannot use marketing products. Well, try harder. So now we have agreed that marketing products are very useful for any industries. It even works for charitable organizations. We can show appreciations to the volunteers by giving token of appreciation. This will make the campaign memorable. Hopefully, volunteers continue fighting for our cause even long after the campaign ended.